Join Jackpot Entertainment, a Dexless guild! | Dexless, Maplestory Guides and More! 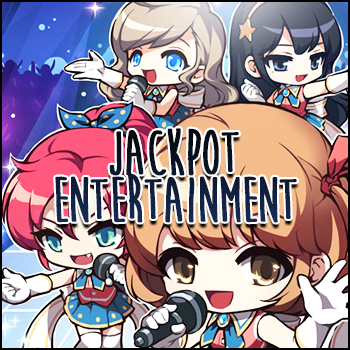 Join Jackpot Entertainment, a Dexless guild! Discussion in 'Guilds' started by julia, Nov 6, 2017. Do you like idol games and anime? Lovelive, [email protected], Bang Dream, Vocaloids - all idols are welcome here. Named after the idol agency found in Kerning Tower, we're here to provide a space for Maplestory and idol fans to come together! If you are somebody interested in getting into the wonderful(ly horrendous) world of idols, feel free to join and ask any questions! I know this is a niche subject of interest, but it certainly doesn't hurt to try to recruit some friends. Also got my gf to watch Love Live too. You should watch "Love Live: Sunshine"! I like it a little more than "Love Live: School Idol Project" honestly. The show set the benchmark for idol animes in my opinion. As for the game, I still play. I'm level 111. I don't do events as often, and I only have 8 URs (6 non-promos). Also Umi is best μ's idol. Mari is best Aqours idol. Maybe I should just give Sunshine a shot. I've seen gifs of the performance sequences and they all look pretty good? LL really lost me in the second season though. I think I was around there in SIF in level, but I only had like....3 or 4 URs? hm. one of them was idolized. I know [email protected] was there before LL, but I never really hear people talk about it. I couldn't really seem to get into it. Maybe I'll give it another shot. Second season of LL was alright. It was more just hype build up when it came out for me.